Recommended for 4-8 years old (it\'s only for reference). Thick mittens, soft & warm plush lining.Good for costume show, outdoor sports and winter gloves. Stretch cuff keeps the wind out, let your little child hands warm in the cold weather. 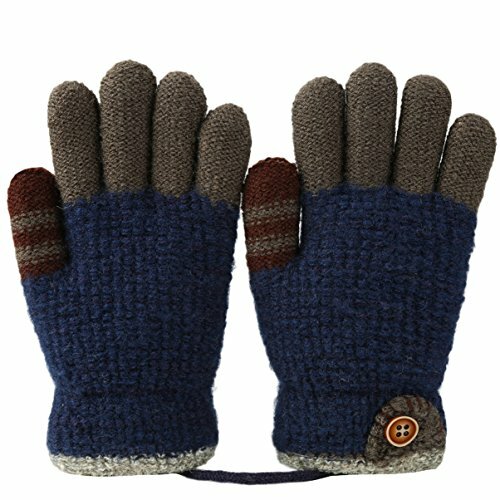 Adorable children\'s gloves in vibrant striped print, a perfect winter accessories. Strechy gloves that grow with your children so they can be used for many years. Fashionable with colorful prints,easy-on wear and warm gloves,a great cold.